For years, Goomi has been unleashing his own vision of Cthulhu upon the world, in his comic \"The Unspeakable Vault (of Doom)! Now his unique take on the Elder Gods comes to Munchkin, in the form of Munchkin Cthulhu 3 - The Unspeakable Vault. 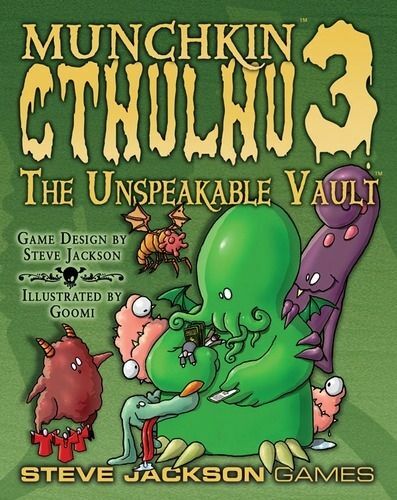 The Unspeakable Vault - more \"yum yum\" for your Munchkin Cthulhu game.